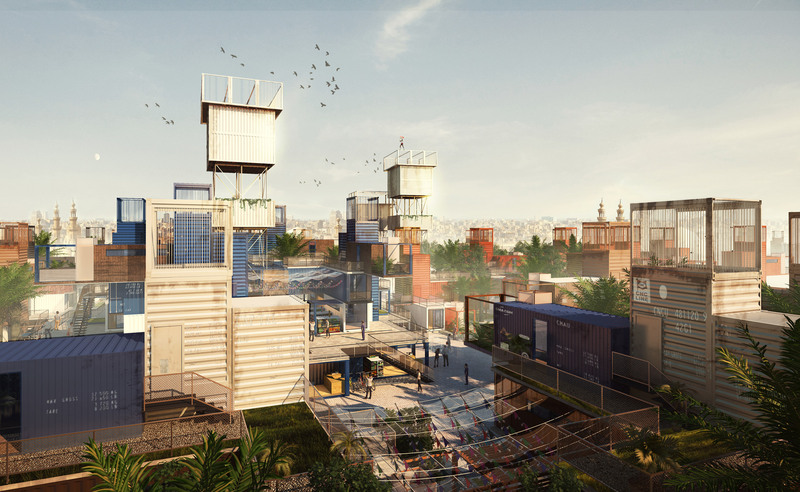 Architects Mouaz Abouzaid, Bassel Omara and Ahmed Hammad have proposed creating micro homes from shipping containers, called Sheltainers, for people living in Cairo‘s cemeteries. 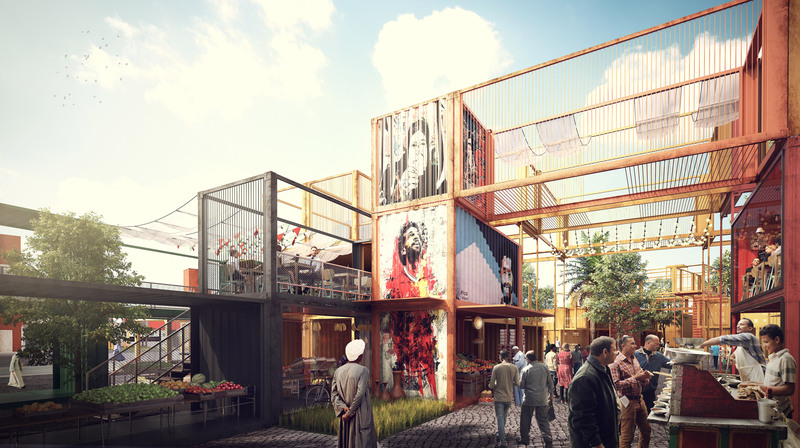 Sheltainer, which was the winner of the World Architecture Festival‘s WAFX Ethics and Value category, would re-purpose shipping containers to re-house people currently living in informal settlements that have grown up in the city’s cemeteries. The Cairo Necropolis, known as the City of the Dead or El’arafa, is a four-mile-long graveyard in the southeastern part of the Egyptian capital. Between 500,000 and one million people, part of Cairo’s population of 19.5 milliom, are reported to be living in makeshift homes between the tombs. Abouzaid, Omara and Hammad said they felt they had a “professional and moral duty” to address this housing crisis in their work. “People have been building light structures from wooden, fabric, plastic, or metal scraps which is a hazard for life and safety,” the architects told Dezeen. 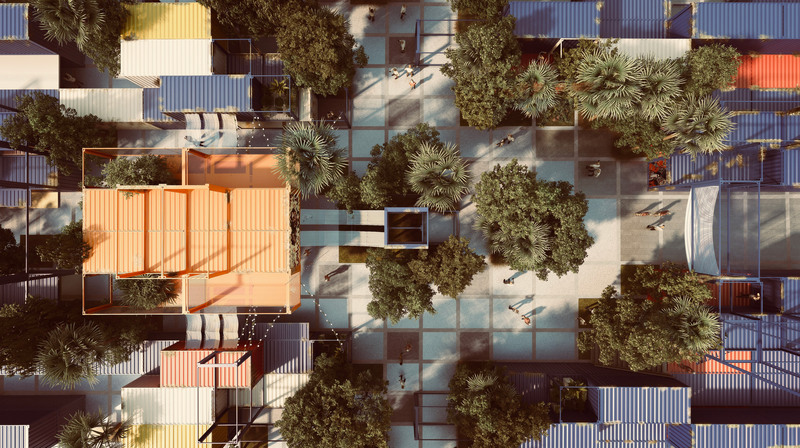 Described by the architects as a “micro-housing solution [for] the less fortunate”, Sheltainer is a model of eight homes built around a central courtyard with a tower in the centre. They decided to use shipping containers because of the availability of the metal cargo boxes as a construction material. “Egypt has many ports – the nearest one is one hour away from the project site. There are many unused containers left out to rust and here was our starting point,” said the architects. The architects would liaise with the local authorities to have burials halted for two years before starting the project, and the existing graves would be preserved as historic sites. Residents would be enlisted as part of the design and build process for the new neighbourhoods. 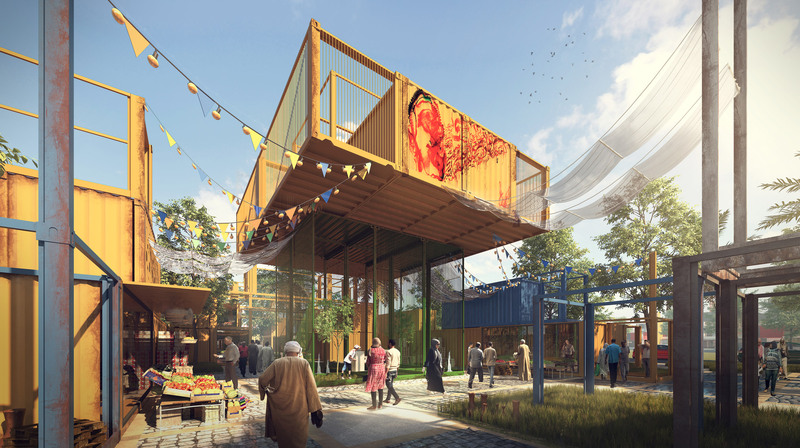 “We will teach them how to build their own homes but using containers and this will upgrade the social connectivity between them and their homes,” said the architects. Eventually the neighbourhoods would aim to not only introduce sanitation, said the design team, but to eventually be zero waste. Towers in the centre of each courtyard would house wind turbines, solar panels and water tanks for the surrounding homes. These towers would also double as pigeon lofts for local pigeon fanciers to breed birds, a popular occupation in the city. 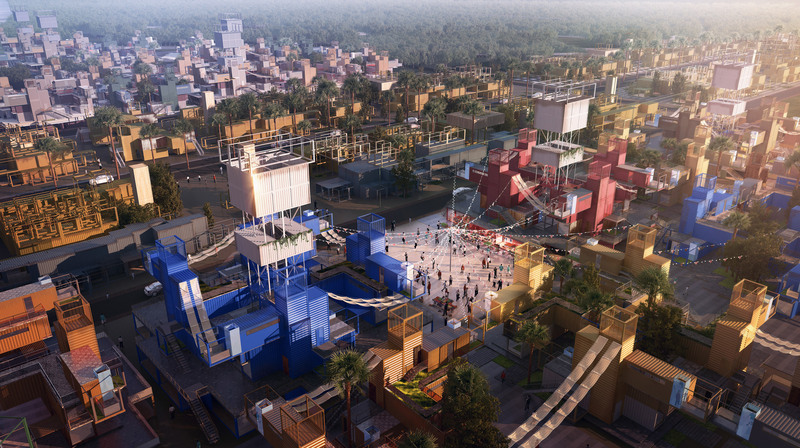 “We wanted to maintain the culture of the people living in Cairo,” explained the architects. The structures would also provide a visual connection with the minarets that define the surrounding skyline. 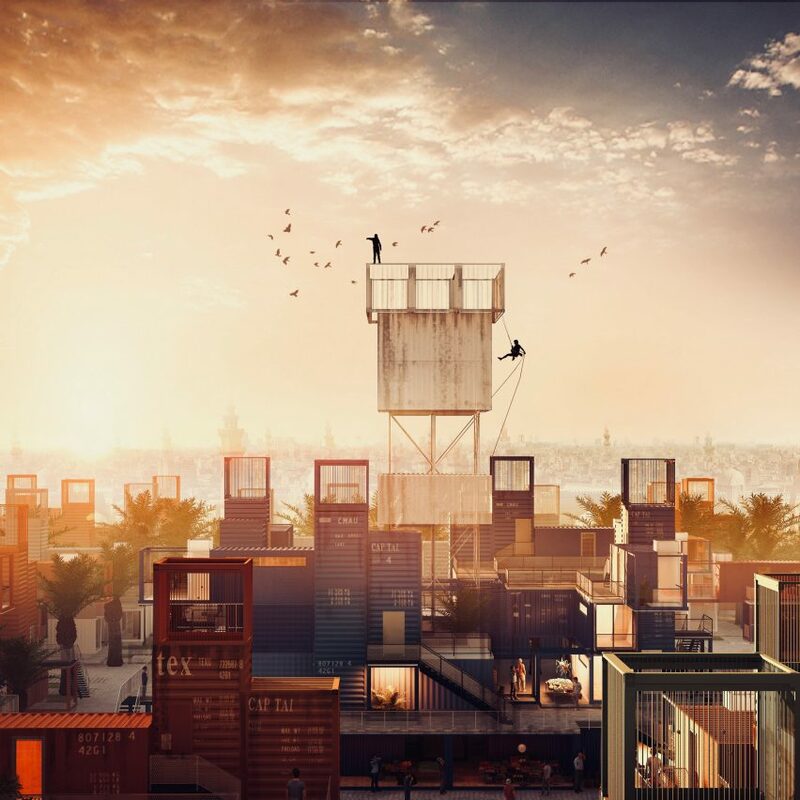 Shipping containers, with their ready-made and robust forms, are an attractive material for architects working in remote places or with small budgets. A team of architects created technology that can harvest fresh drinking from the air that’s designed to be housed inside a shipping container for ease of transport, and another conceptual project proposes filling a multi-storey carpark with containers to create a low-cost housing development. 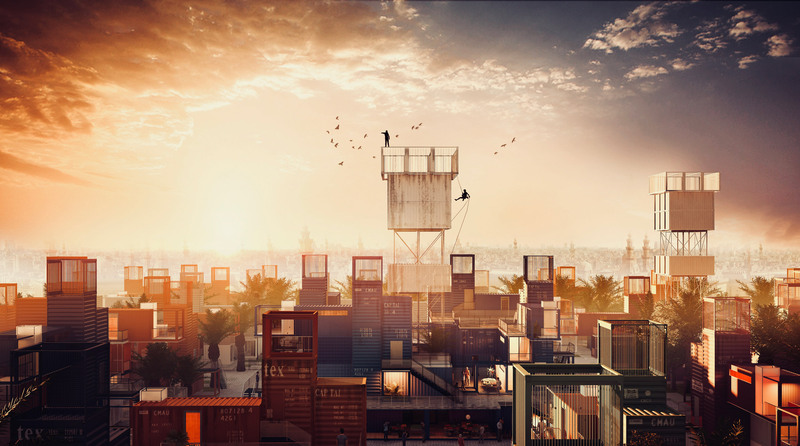 The post Shipping container micro-housing proposed for City of the Dead in Cairo appeared first on Dezeen.